Therapists sometimes ask: What supports you in life? What gets you through difficult times? Our `journey' in life relies on a range of resources to equip and fulfil us. Knowing about these resources, however, is not enough: for lasting benefits, they must be bodily felt experiences. The aim of this book is to illustrate the holistic purpose of therapy to resource integration of the client. It draws upon extensive material to affirm that the practice of contemporary therapy benefits from insights gained from evolving neuroscience. Particular emphasis is put on the benefits of drawing on the dimensions of experience to strengthen ego processes like self-awareness and self-regulation, and engage with the depths of being, including `soul'. 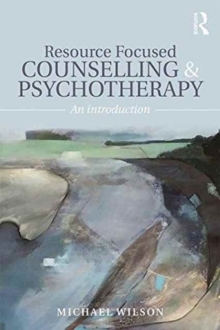 Resource Focused Counselling and Psychotherapy provides professionals with a comprehensive and integrative model of resource focused therapy, drawing upon clinical examples and the current range of research and theory surrounding this emerging approach. 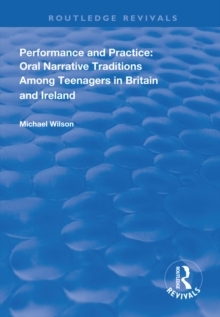 Additionally, the book contains a range of self-resourcing exercises and practices for each part of the integrative model, enabling individuals to develop self-resources for greater resilience and well-being in their own lives. This book is an important read for psychotherapists, psychologists and counsellors, including those working with trauma. It also provides valuable insights for modalities practising from a psycho-spiritual perspective, including Jungian and transpersonal psychotherapists.